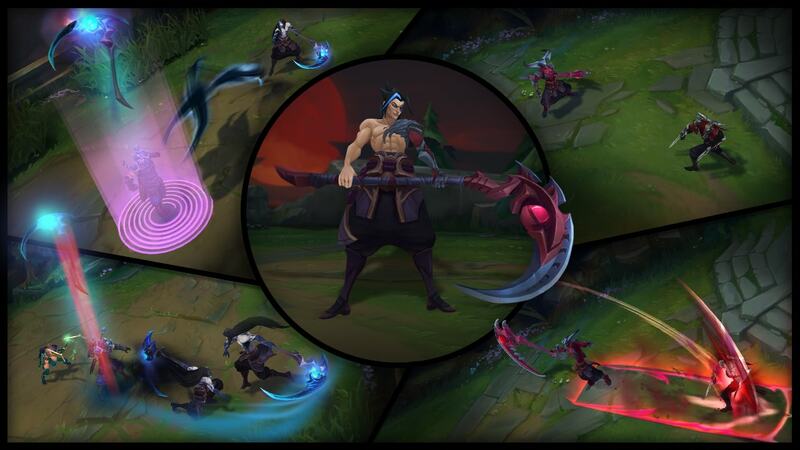 A peerless practitioner of lethal shadow magic, Shieda Kayn battles to achieve his true destiny—to one day lead the Order of the Shadow into a new era of Ionian supremacy. He audaciously wields the sentient darkin weapon Rhaast, undeterred by its creeping corruption of his body and mind. 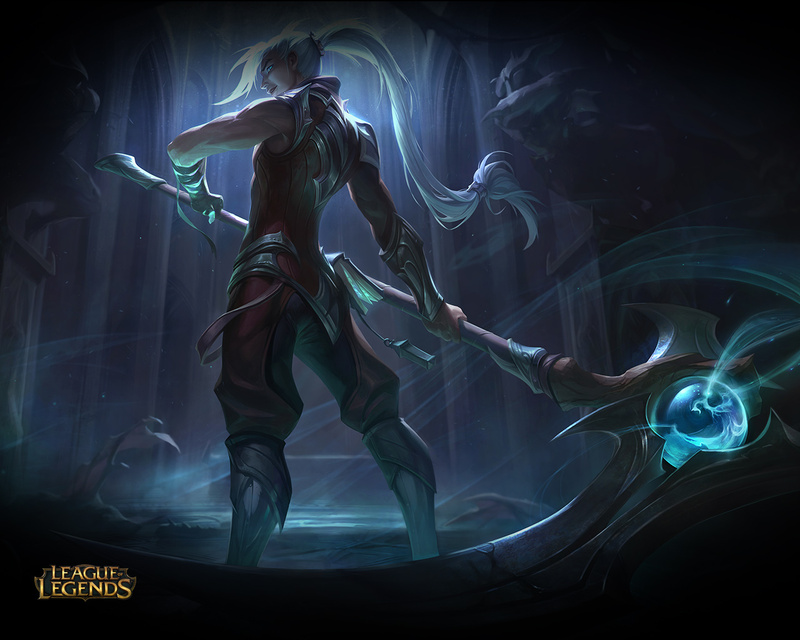 There are only two possible outcomes: either Kayn bends the weapon to his will... or the malevolent scythe consumes him completely, paving the way for the destruction of all Runeterra. 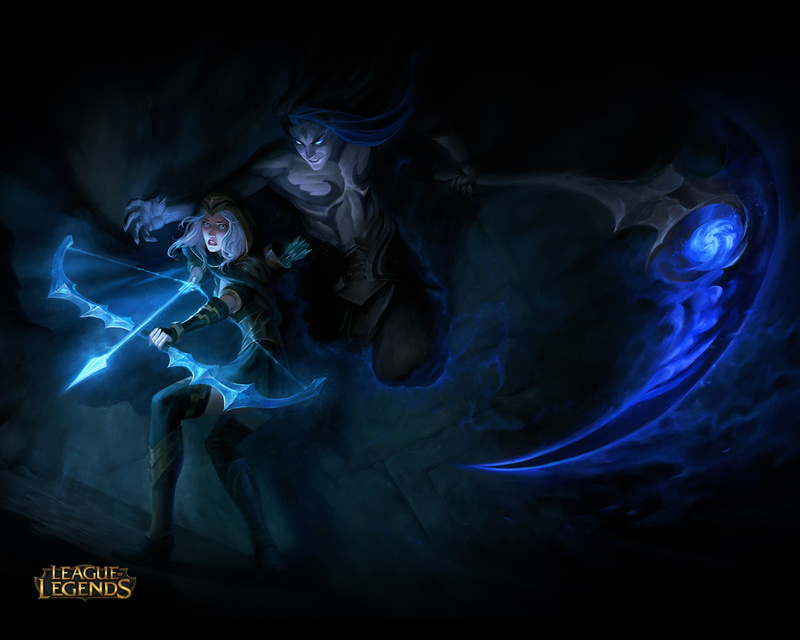 Darkin:This ability deals bonus percent-health damage against all enemies except minions. Shadow Assassin:Leaves behind a living shadow that casts Blade’s Reach in Kayn's stead. The living shadow's Blade has increased range. Darkin:Blade’s Reach briefly knocks up struck enemies. Shadow Assassin:Gain additional movement speed and immunity to slows when activating Shadow Step. Shadow Assassin:Umbral Trespass can be cast from further away and resets the bonus magic damage from The Darkin Scythe after Kayn's exits his victim. Darkin:Umbral Trespass deals extra damage as a percentage of the victim's maximum health, healing the Darkin in the process. Shadow Assassin:Deal bonus magic damage during the first few seconds of combat with champions. Darkin:Heal for a chunk of all spell damage dealt to champions. 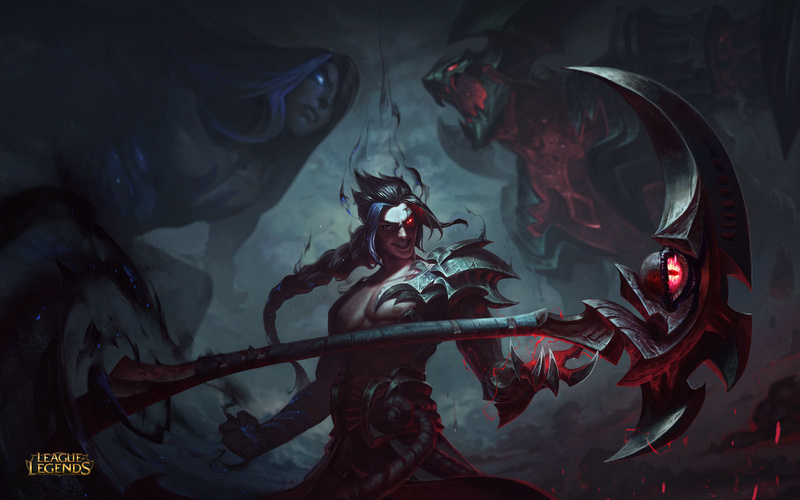 Kayn is a slippery, insatiable nightmare who uses his victims' bodies as a recreational vehicle. The Shadow Reaper's ult is horrifying enough, but even scarier is his tendency to emerge, suddenly, from any wall in the Rift. Kayn and Rhaast are hungry boys, and you've got to feed 'em by ganking lanes and dealing damage to champs. Taking too long to transform means you'll fall behind in the mid-game. Kayn's two evolved forms have their own unique trade-offs. The darkin has telegraphed crowd control and limited access to enemy backlines. The shadow assassin has very limited sustain damage and no hard crowd control. Peep their team comp, then choose wisely. Umbral Trespass has a few very interesting interactions with other mobile champs. See an enemy Shen ulting to bot lane? Get close enough to Trespass aboard the ninja train and enjoy the ride.